Can you remember the feelings that you had on a big day–a wedding, job promotion, graduation or whatever? Remember all the excitement of planning for the day? Remember not eating or over eating, crying then laughing, too little sleep, drinking coffee or caffeinated drinks by the bucket. Then there was the slurred speech that you attributed to just being overly tired. Remember feeling that your neck movement felt strange. There was the numbness in your arm and/or leg, but again you theorized that you were just tired. The stress of the moment. The dizziness that you felt was because you forgot to eat breakfast or you ate that sugary candy. For some reason you were just too tired, you couldn’t seem to even move. These and other symptoms could mean that you are having a stroke. When women of a certain age think of stroke victims we tend to think of our grandparents, but if we think back our grandparents may have been our age or even younger. 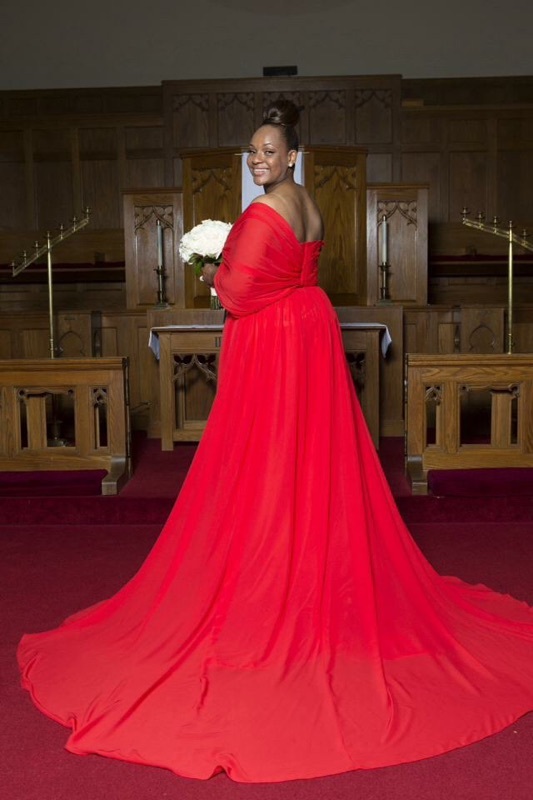 The story below is the story of Lea and the stroke symptoms on one of the most memorable days of her life–her wedding day–September 27, 2013. At the age of 41, Lea was very excited about this day, but as with most brides, she was exhausted from all of the planning and hoping that it would go off without a hitch. She had planned everything to last detail. She was checking every minor detail because it was her wedding day. She started feeling a little bit different, but did not know she was having transient ischemic attacks or what are called TIA’s–commonly called mini strokes even though she had them before. Since she had seen a doctor before, she felt that she was okay. While dressing for the wedding, her speech became slurred, and it seemed her face had dropped slightly and she was just so tired she couldn’t even drink water–it dribbled down her chin. She felt woozy. After a little rest time, Lea felt better and went on with her wedding. I can just imagine what she thought of when the symptoms started–people are here, I’ve already paid for the event space, what will people think, I’ll feel better when I can rest, you know all the excuses that women come up with. Sure enough she was soon back to her old self, and life was good. The honeymoon would take place later when all of the excitement of the wedding was over, but life was about to take a turn. As her cousin who is a doctor had told her when she learned that she had been having mini strokes, Lea was about to have a major stoke. One Saturday she suffered a TIA that caused her to lose consciousness while at work. Again, she went to the hospital, and again they sent her home because she was not showing any signs or symptoms for a stroke. The next Thursday, she and her husband got up early (about 7:45 am) to hear her cousin who is a baker being interviewed on the radio. Her husband noticed that her face was drooping and that her speech seemed to be slurred. She even told him she needed assistance to go to the bathroom–she was a bit woozy. Since she already had a doctor’s appointment for 11 am that morning she did not go to the hospital, she just rested until it was time for her appointment–the cost of the emergency room visit was also a factor. When she made it to the doctor’s appointment, her doctor immediately sent her to the ER at Texas Health Harris Methodist Hospital Fort Worth. The doctors at the hospital were able to treat her, but she was outside of the 4 hour window from the onset of symptoms to receive the clot busting drug, tPA. **According to WebMD: guidelines say the drug should be given within four and a half hours after stroke symptoms begin, but this study shows that the earlier patients receive the drug within that window, the better. Lea was able to walk later that day, but she continued to worsen during the night. Her left side of her body was not usable. After leaving the hospital, she was confined to a wheel chair for a couple of months, but after intense therapy, and now participating in the BITS program (Brain Injury Transitional Services), she is now able to walk with the assistance of a cane. Lea is alive today and wants to share her story with others. By sharing she wants others to know the signs and symptoms that she didn’t know. Lea wants others to learn to talk with the doctors and recognize the FAST signs of a stroke–F–Face, A–Arms, S–Speech, T–Time. She wants everyone to know that with the onset of the symptoms to go immediately to the hospital because time is of the essence. Remember “thisisyourbestyear”. Think FAST when you have symptoms that may be the onset of a stoke. To learn more about the signs, symptoms and treatments for a stroke go to: http://www.strokeassociation.org/STROKEORG/ .